It's what's happening beneath that will bring HELLFIRE! 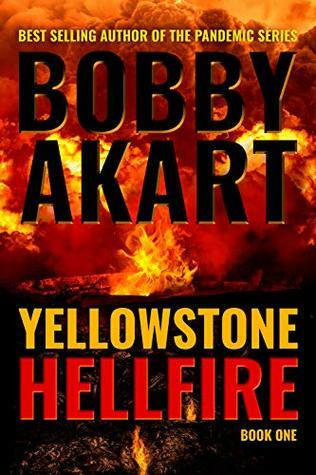 The Yellowstone Series, a new disaster thriller from critically acclaimed author, Bobby Akart, takes the reader on a thrill ride as a cataclysmic event of extinction level proportions ticks away like a time bomb, awaiting its moment. Millions of people visit the Yellowstone National Park every year blissfully unaware they are on top of the greatest killer man has ever known - the Yellowstone Supervolcano. But if it does ... The eruption of the Yellowstone supervolcano will be more than a spectacle to grab our attention. It will be the end of the world as we know it. Volcanoes are the Earth's way of letting off steam. While most people look at volcanic eruptions as natural disasters, the fact of the matter is, without them, the Earth would explode. Deep beneath the surface of the planet, excess heat builds up, finding a way to vent. Like an overcrowded bus on a hot summer day, the overheated magma stews in its own madness, allowing pent-up frustrations to boil over, until it releases its fury - its HELLFIRE - upon the world above. Yellowstone is the most potentially explosive, violent, deadly, active volcano on our planet and scientists agree, a catastrophic eruption is inevitable. Yellowstone is extraordinary in its potential and is quite simply, Earth's greatest killer. You've been warned.